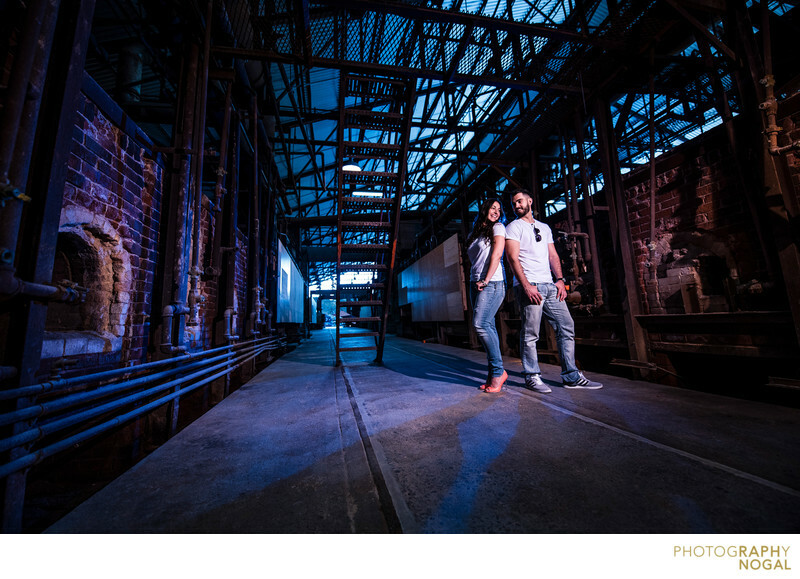 We explored parts of the Evergreen Brickworks in Toronto during this engagement shoot. I love this venue as it offers that rough-around-the-edges feel and a bit of grit, while still maintaining class and lots of indoor and outdoor options. This shot was lit with two speed lights, one behind the couple, gelled blue and one as a key light camera left with a CTO gel and grid.